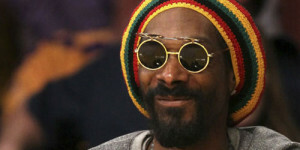 Perhaps you collected a Los Angeles DUI charge after you drove wildly following an extravagant night out at a night club often frequented by Snoop Lion (a.k.a. Snoop Dogg). Or maybe officers at a checkpoint near Sepulveda stopped you and a friend and charged you both with DUI, after you each blew very high number on your breath test – enough, perhaps, the qualify you for an extreme DUI charge (in excess of 0.15% BAC). 1. Challenging the validity of your breath or blood test results. • Miscalibration or inaccurate recording of test results can also lead to injustice. An astute defense attorney can challenge your test results. Perhaps you actually did drive DUI. You made a big mistake, and you’re willing admit it. You’d just like to minimize your punishments and maximize your chances for successful rehabilitation. A seasoned lawyer can negotiate with prosecutors to make this happen. 3. Challenging the license suspension. Most defendants worry a lot about potential jail time but don’t give enough thought to the inconvenience of license suspension. It’s hard to get around L.A. if you have to take public transportation everywhere. A license suspension can indirectly get you fired from your job and choke off friendships. An informed, prepared attorney can help you fight the license suspension, so you can keep driving (safely). Turn to Michael Kraut of the Kraut Law Group for help now constructing and moving forward with your Los Angeles DUI defense.